Running is a dream of many folks including me. I wished to run in the year 2007 not to lose extra fat on my body as well as to maintain my physical endurance. I googled but did not find how to start running and struggled to make my dream real. It took almost two years to hit the ground and start running. It was difficult for me to complete a kilometer in a single stretch. I thought I never would be able to run. But, I did not lose my confidence. When I finished my first one km run, I was enthralled. I continued my practice, and between 2014 to 2017, I completed five half-marathons, three 25 KM marathons, and two full marathons. 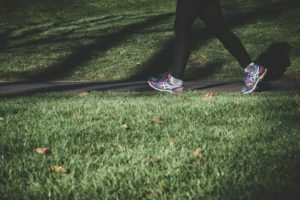 My running experience makes me share ’10 steps for running’ for those who wish to know – How to start running- 10 steps? 1. Start with a walk: Start with a small step on an alternate day. Initially go for 20 minutes and gradually go for an hour. Do it for at least a month. On an alternate day, you can go cycling or some different exercise, if you wish to. 2. Start Jogging: After a month, include jogging in the walking schedule. Go for 10 min walk and 10 min jog, and gradually increase it. Do it at least for a month. 3. Start Running: Now, you can start running. Start it with 10-15 and progressively increase as you feel comfortable. 4. Always Run on an alternate day: Taking rest on an alternate day is good to relax your muscles. You can prefer another exercise on off run day like cycling or swimming. 5. Warm Up: In winter always go for 10 minutes warm-up exercise, in summer you can avoid it. 6. Stretching: Always go for stretching as you finish you run. 7. Hydration: Always take care of hydration. Before running and during a run, keep your body hydrated to avoid injury. 8. Avoid Injury: Always avoid injury. Be careful while you run. Run in pace what makes your body and mind comfortable. In case of injury, stop running and fix it first. Take proper rest. 9. Proper Running Gear: Buying stuffs depends on one’s budget. But, buy good shoes if you plan to run on the road. I prefer Decathlon shoes; it comes in a good price range with two years guarantee. 10. Don’t be a Follower: Don’t try to match the pace of another runner. You always maintain your pace and gradually improve it. The tips are based on my personal experience. I have followed it and successfully running and enjoying. I am practicing for 150 KM ultra-marathon and planning to make it by the end of this year. Previous articleA Place to Visit.